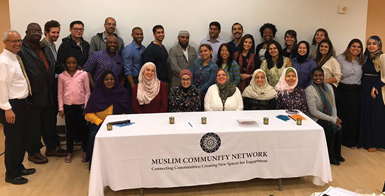 The Muslim Community Network is a 501(c)3 non-profit organization that identifies and cultivates the leadership skills of all Americans to fully participate in the social landscape. MCN’s strategies include creating strong relationships with other faith-based communities; articulating and advancing an understanding of the need for citizen engagement; developing the skills and ability of our community to affect change; and building the next generation’s identity and capacity as leaders. MCN is seeking a community service coordinator to support staff in planning, organizing and executing upcoming community service opportunities including the Thanksgiving Food Baskets Pack-a-thon, the Bellevue Dinner Drop off to NICU and PICU families, and Ramadan Food Baskets and Eid Toy Drive events. The coordinator will lead research of food and supply procurement for activities, create purchase orders, plan logistics and coordinate outreach to volunteers. Ideally, experience working with volunteers, volunteer organizations and/or active in community service activities. Demonstrated capability to effectively communicate orally and in writing. Ability to work well with a diverse group of staff and volunteers. Ability to work productively with minimal supervision. Proficient in basic computer applications and internet technology, such as MS Office and Google Drive. Ability to set priorities, multitask, and meet deadlines. Click here for MCN’s volunteer application.